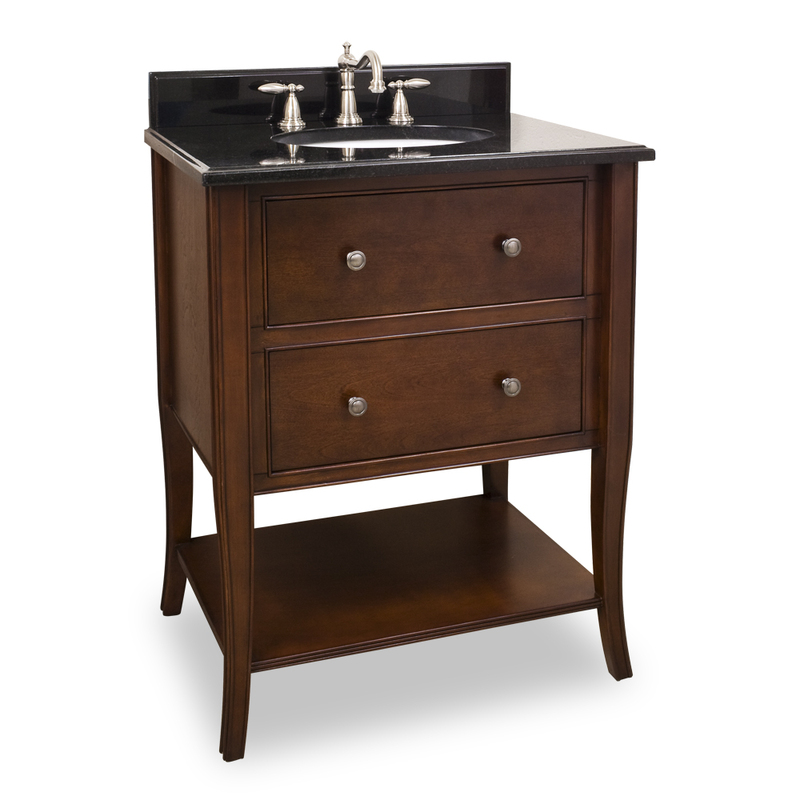 The 28.5" Laguna Single Bath Vanity has a rich chocolate brown finish to give this vanity an updated feel. 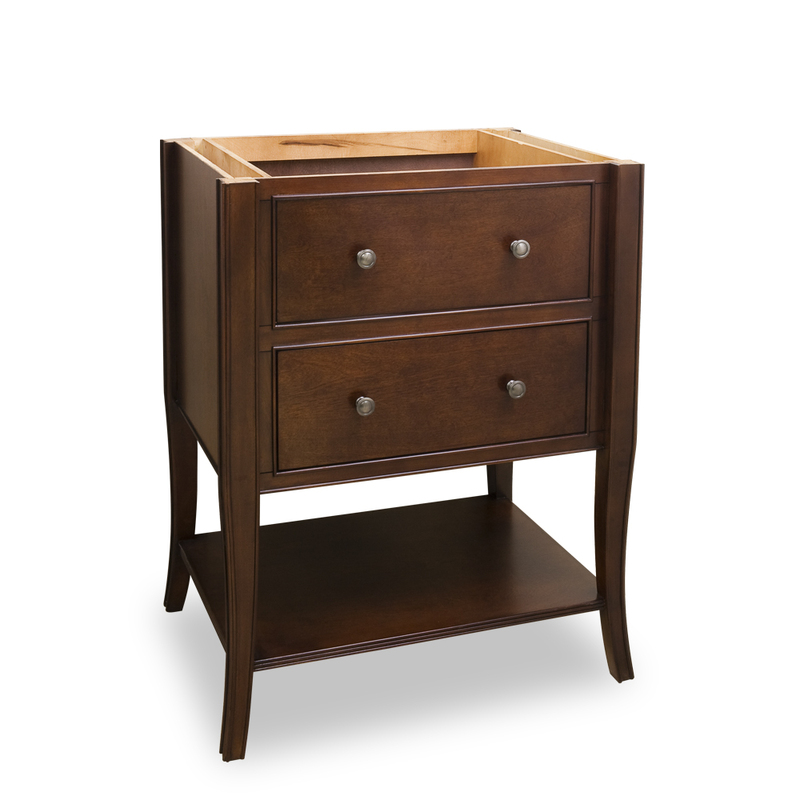 This vanity features elegant tapered cabriole legs and rolled edge details for a more refined look. 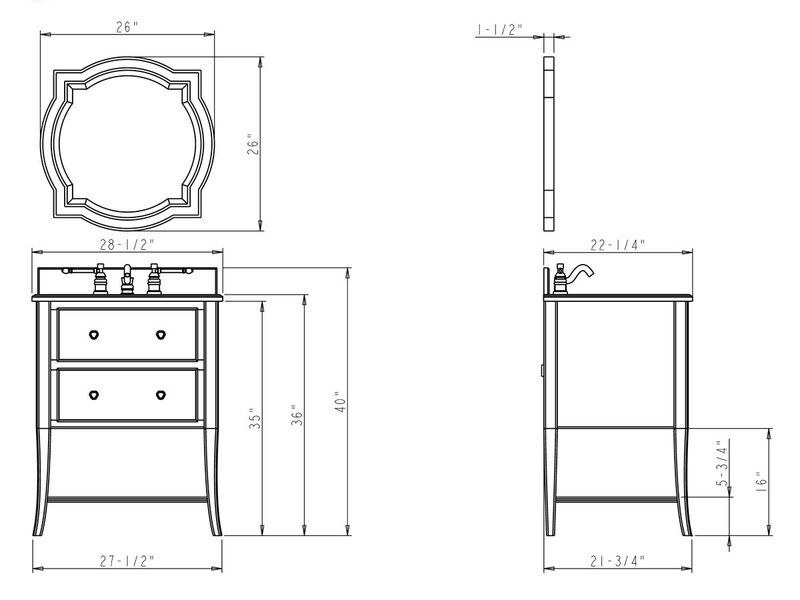 Two fully working drawers, fitted around the plumbing, and open bottom shelf gives this vanity ample storage. This vanity is cut for 8" faucet spread. 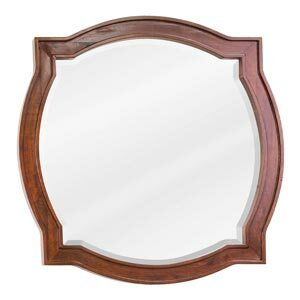 Faucet and mirror sold separately.